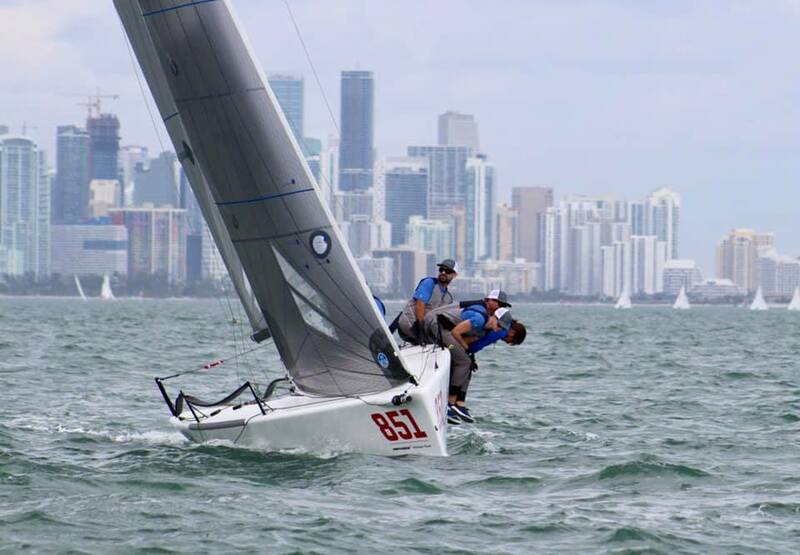 Congratulations to Bruce Ayres’ Monsoon and crew members Ian Coleman, Chelsey Sims, George Peet and Mike Buckley as they won their second consecutive Melges 24 Winter Series event this past weekend in Miami. 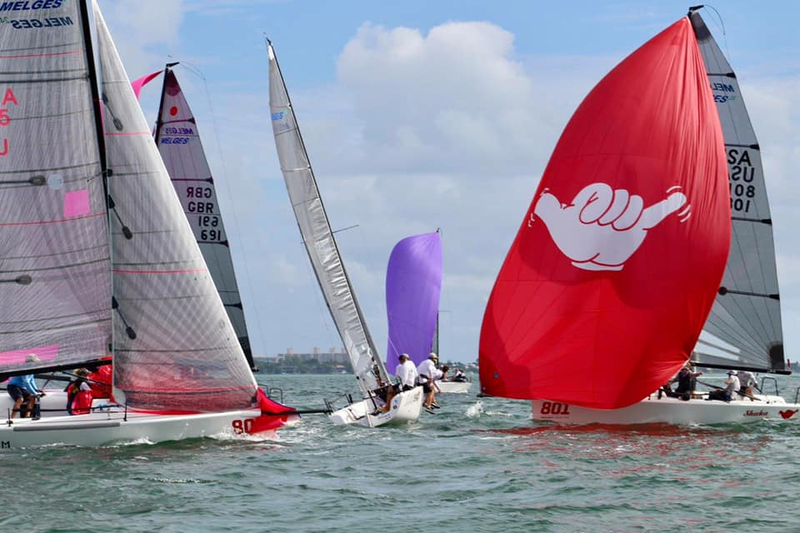 With only one more event to take place on the Winter Series schedule (Bacardi Invitational Regatta, March 7-9), Ayres is on a path to early success in 2019. Kevin Welch’s MiKEY from Anacortes, Wash. with the legendary Jeff Madrigali at the helm, came in second place after five races featuring classic Biscayne Bay conditions — warm temps and perfect breeze. Rounding out the top three, and starting a succession of very tight point separation, Travis Weisleder’s Lucky Dog / Gill Race Team finished third, then Megan Ratliff’s Decorum in fourth, followed by KC Shannon’s Shaka in fifth. Beyond the top three, John Brown’s Blind Squirrel was the only other team to take home a race win. That same race, Italy’s Andrea Pozzi aboard Bombarda came second followed by event winner Ayres. Taking top honors in the Corinthian category, representing the Columbia Yacht Club in Chicago, Ill. is the sister-brother act of Megan and Hunter Ratliff (helm). Joining them as crew was Greiner Hobbs, Zach Hernandez and Alex Simon. Thanks to three, top five finishes they secured their second big win at the Melges 24 Winter Series. U.S. Melges 24 Class President Roger Counihan racing Jaws, and Great Britain’s Stuart Simpson on Team Barbarians finished the all-amateur division in second and third respectively. All teams now look ahead to the Winter Series grand finale happening in March. Only two weeks remain before the early entry deadline expires, so teams planning to race should Sign Up now!